We are very excited to be teaming up with Lac Leman’s improv community to be showcasing our scientific improv skills for a grand charity show on 3rd November at Théâtre de Carouge, Geneva. 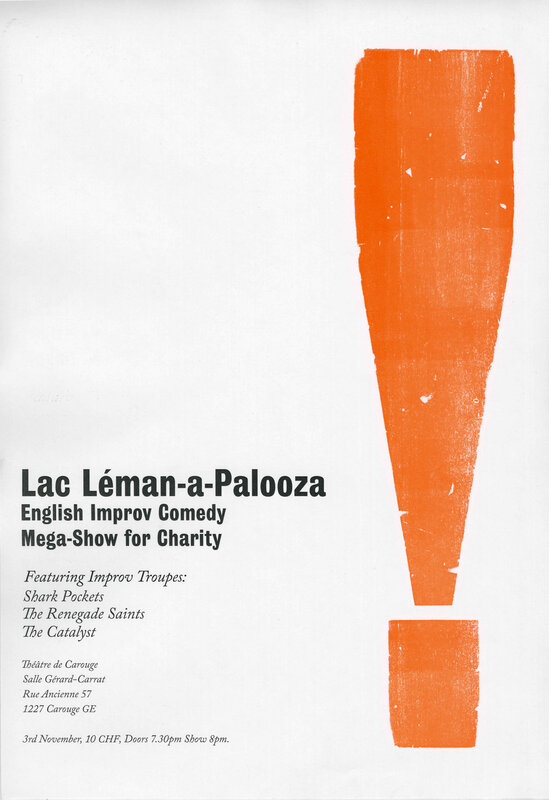 In this one-night-only spectacular, you will see us, the Shark Pockets and Renegade Saints, exhibiting our different improv stylings for your entertainment, and the charities of our choice. We welcome you to Théâtre de Carouge on Thursday 3rd November, with doors opening at 19:30. Tickets on the door are 10 CHF. The profits of the show will be going directly to charity.